Headed to sunny Southern California anytime soon? Consider taking advantage of the Southern California CityPASS, which offers a tremendous savings at four of the area’s top attractions and lets you skip ticket lines. The Southern California CityPASS provides access to Disneyland, Disney California Adventure, LEGOLAND California and SeaWorld in San Diego. Note: This post contains affiliate links for which I earn a commission if you make a purchase after clicking on them. 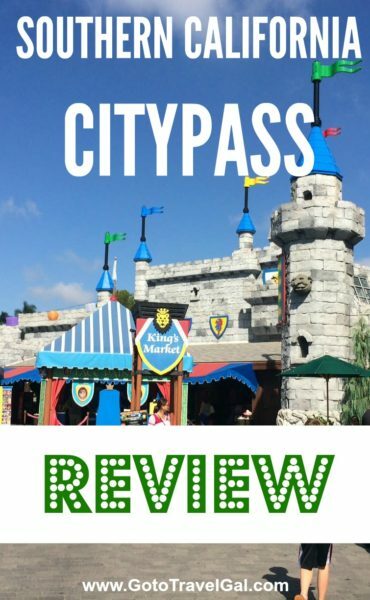 My husband and I used the Southern California CityPASS on a trip that started in Anaheim, home of Disneyland, and ended in San Diego, one of our favorite destinations, and we found it to be incredibly convenient and a help to the budget. Read more about What to Do in San Diego. 3-day Park Hoppers for Disneyland Park with Magic Morning & Disney California Adventure – A Park Hopper means you can go from park to park in the same day (which is super easy at Disneyland; the park entrances are literally right across from each other). The Magic Morning allows you to enter Disneyland one hour before regular park opening on a Tuesday, Thursday or Saturday. The pass is valid for 14 days. That is a savings of at least $142 per person or nearly $600 for a family of four! Go to CityPASS.com and purchase the pass online. You will only pay one price for all four attractions and only need ONE card for admittance to all of them. Just don’t lose it ;-)! The CityPASS allows you to skip the ticket line at all attractions and you can go right to the turnstile to scan your card and be admitted. It also works as a Park Hopper at Disneyland. You can purchase your 2017 CityPASSes right now; you’ll just need to be sure you use them before the end of 2017. Because the attractions are in two different areas of Southern California, about two hours apart, you’ll need to decide if you want to start and end in the same spot or fly into one location and fly out of another. We flew into John Wayne Airport in Orange County (my favorite airport!) and took a car up to Anaheim. We spent three days at Disneyland and Disney California Adventure and then headed south to San Diego where we did LEGOLAND California followed by SeaWorld San Diego. We then flew out of San Diego. Southwest flies to both John Wayne and San Diego and does not penalize you for not flying in/out of the same place. Alternately, you could start in Anaheim, do a day or two at Disney, head down to San Diego for two days and then spent your third back at Disney, flying out of John Wayne. Other nearby airports include LAX (no thanks) and Burbank, which generally has good deals. Be sure to take advantage of Southwest Rapid Rewards points and, even better, the Southwest Companion Pass to fly free! My family of four flew free to San Diego last year using both. Note: I received a complimentary Southern California CITYPass in exchange for a fair and honest review. 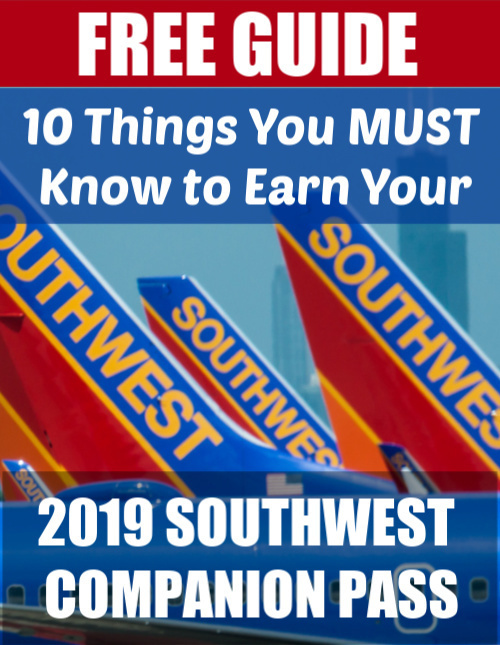 Learn how to earn the Southwest Companion Pass by downloading my free guide below.